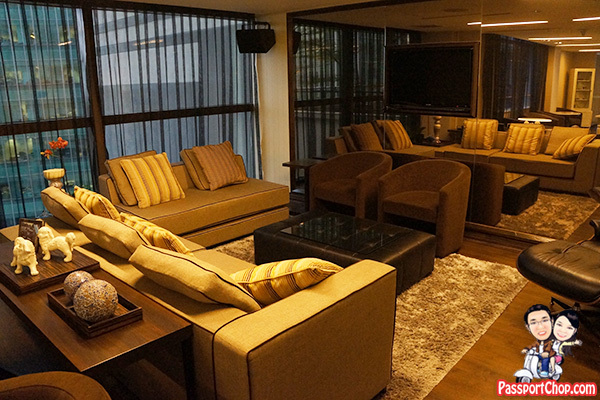 We have reviewed quite a few hotel staycations in Singapore over the past years. Each staycation is unique because of the effort each hotel puts in to provide guests with a differentiated and personalised experience. To me, a hotel staycation is about what you can experience during this mini vacation from the perspective of a local and a tourist. Be it having fun at the Adventure Cove Waterpark during a stay at one of Resorts World Sentosa’s hotels or enjoying a sumptuous weekend buffet brunch at the Changi Crowne Plaza. Of course, to complete the whole home away from home feel, maximum comfort with the beddings and room amenities are just as important. 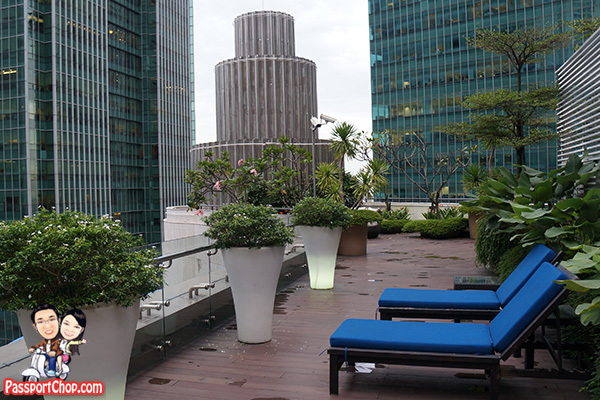 We stayed at Ascott Raffles Place recently to find out how this serviced apartment stands out, to qualify as a finalist for the “Best Hotel Experience” in the 2014 Singapore Experience Awards. Organised by the Singapore Tourism Board, the Singapore Experience Awards celebrates compelling and memorable Singapore experiences delivered through the innovation and dedication of outstanding individuals and organisations. 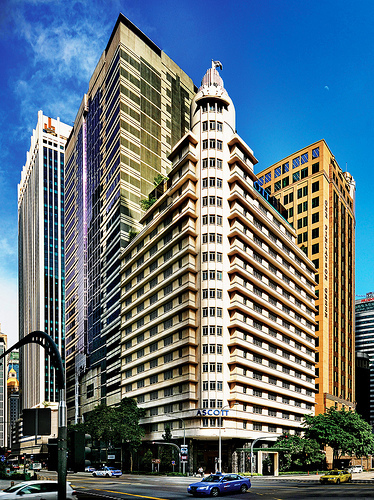 Ascott Raffles Place is housed in a heritage building, previously known as Asia Insurance Building. It used to be the tallest building in Southeast Asia during the 1950s, a symbol of Singapore’s aspiration to be a key financial and commercial hub. Standing in the heart of Singapore’s bustling financial hub, its 1950s Art Deco exterior façade is a gem amongst its neighbouring modern cityscape. Restored with much care, the Ascott group won the URA Architectural Heritage Awards in 2009 for their detailed efforts in retaining and capturing the icon’s former glory. I am a history buff so I really appreciate heritage buildings and the story behind their architecture. 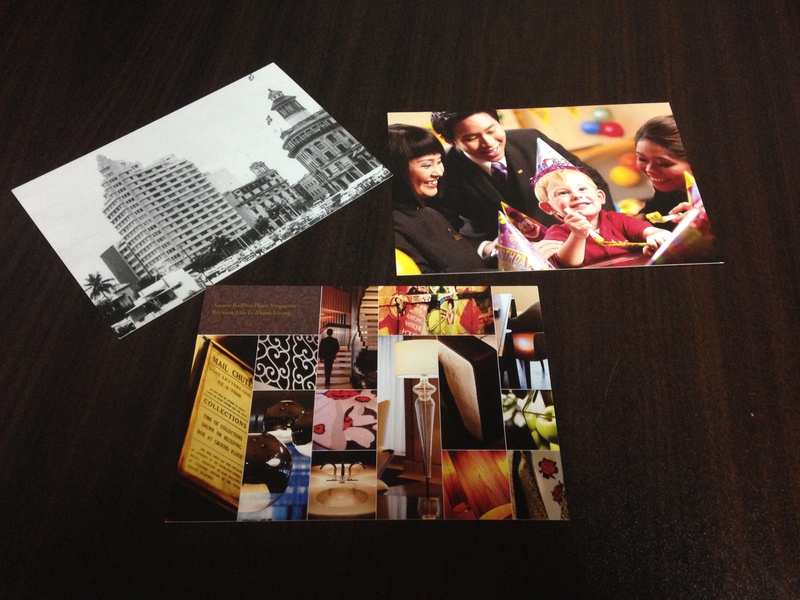 … where you can drop your from as high as 16th floor and Ascott Raffles Place staff will mail it for you! 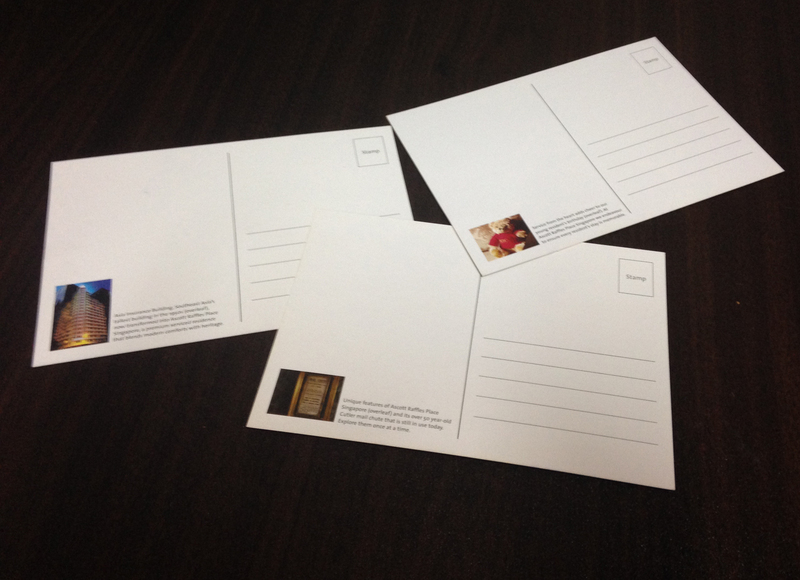 You don’t even have to buy your postcards (just buy some stamps) as you can find various Ascott Raffles Place postcards on the work desk – I thought that was a very thoughtful gesture as guests can mail a little piece of Singapore back to their loved ones just to say “hi”. The intricate retro motif design on the stair railings from the Asia Insurance building has been adapted and replicated. 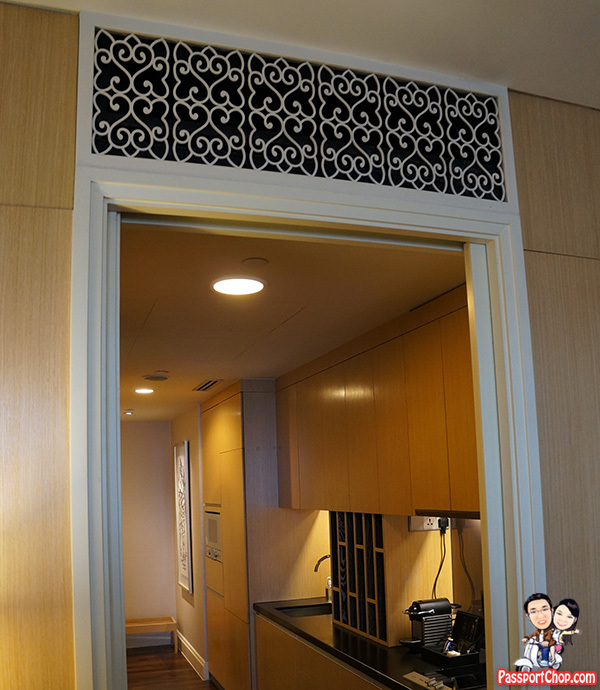 The motif now features as a decorative air-conditioner grille in every apartment, encapsulating the inherent spirit of the original building and acting as a subtle reminder of its history for guests. As the original window glass of the Asia Insurance building was thin and provided little thermal and sound insulation, Ascott brought in acoustic consultants and window specialists to replace the existing over 1,000 glass panes with laminated glass to sound proof the apartments from the bustling street and insulate against the sun. 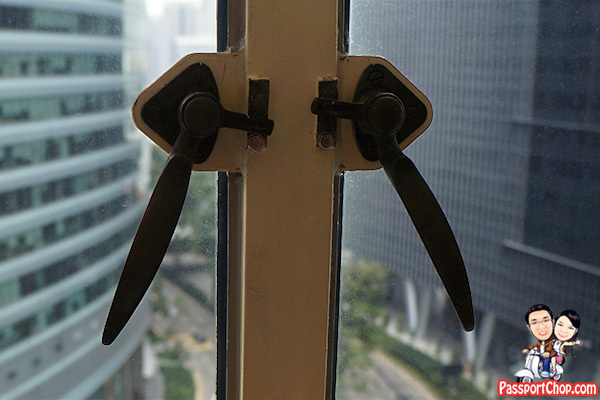 More than 300 steel window frames with brass handles have been retained to maintain the exterior integrity of the building (but for safety purposes, you cannot open the windows with the brass handles). 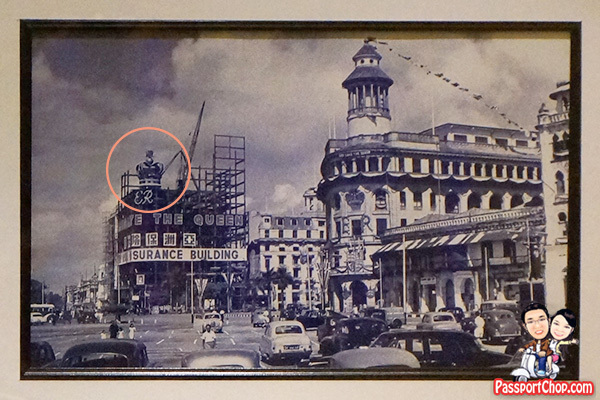 Back then, the Asia Insurance Building was decked out with a crown to commemorate the coronation of the Queen of England in 1953 (as seen in the picture below). The next picture shows what the building looked like back then after construction was completed. 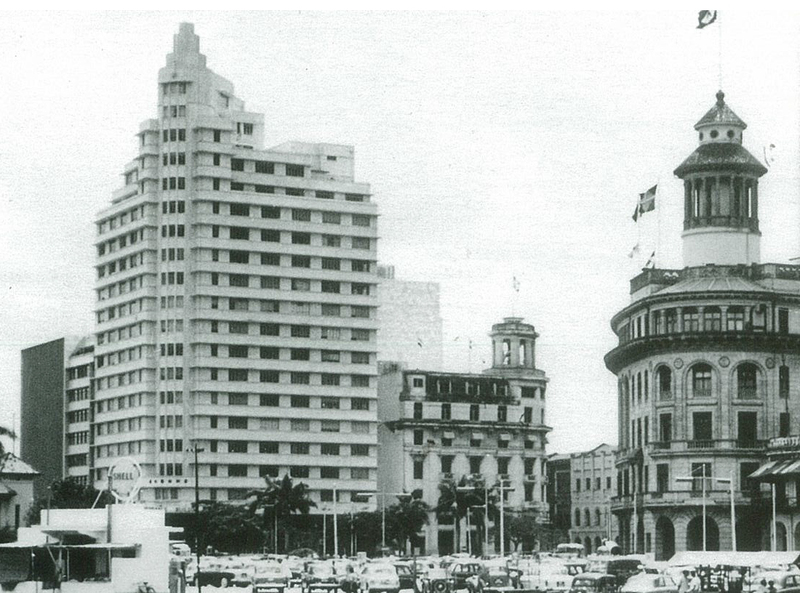 What was really amazing is that even to this day (more than 50 years later), the stainless steel “wedding cake” structure which supported the crown on top of the building has been retained and stands on the roof top of the property (on the 21st floor). There is even a jacuzzi on this floor! 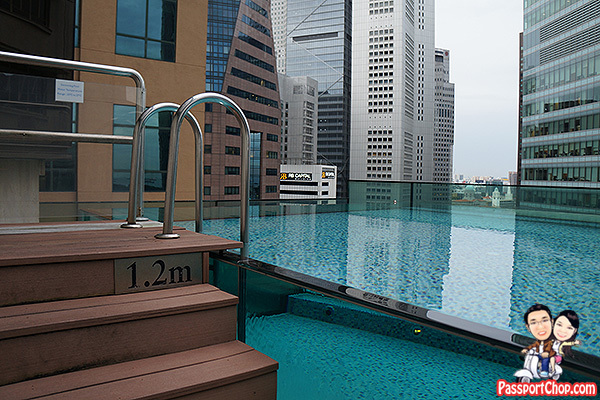 We experienced Ascott Raffles Place’s excellent service before we even checked in. Just 3 days before our stay, we received an email from our Ascott host, Jay Vincent, welcoming us to the residence and requesting for some info to facilitate the check-in process on the day itself. He even asked for our in-room preferences e.g. extra hangers, extension cords, baby cots, which I felt was a very thoughtful gesture in anticipating guests’ needs and personalising our experience with Ascott Raffles Place. I was also very impressed with Jay’s reply when I asked about complimentary parking tickets – instead of just saying “no, there are no parking facilities in the building”, he took the effort to provide me with a list of 5 other parking facilities within a 5 minute walk of Ascott Raffles Place, along with their parking charges! 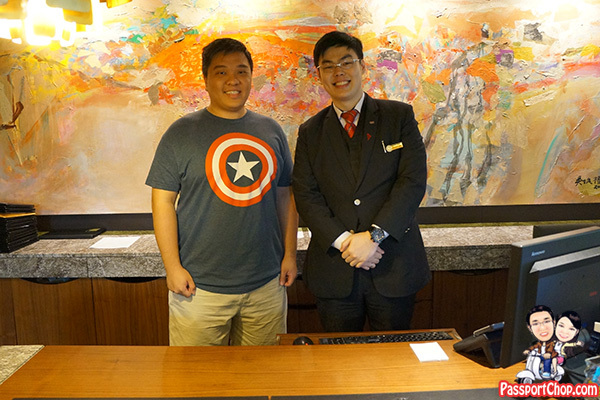 On the day itself, I was surprised to see Jay at the check-in desk. He knew our requests and details and completed the check-in process very quickly – all I had to do was verify our details and sign. We were done in less than 5 minutes. Unlike typical hotel standing check-in counters, Ascott Raffles Place also decided to enhance the entire check-in experience (albeit a short one) by having comfortable chairs at the check-in desks. 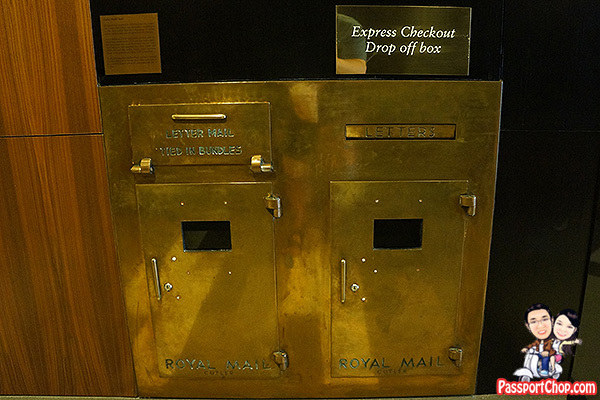 There are also interesting at the lobby around the reception area, so even if the check-in desk is busy, the waiting experience is pretty decent. 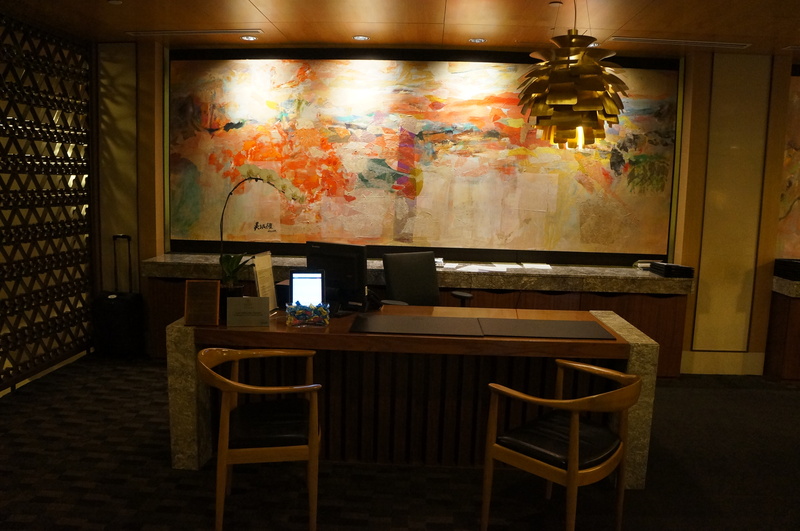 For example, this abstract artwork behind the check-in desk is actually by a Singapore Cultural Medallion recipient Goh Beng Kwan and it is titled “Old Lyrics with New Melody”. Our host Jay shared with us more about what this artwork is about – the different colours in different strokes symbolises vibrancy and convey a festive mood to the interior. The artist is one of Singapore’s pioneers in abstract style art and it is only apt that his artwork is featured in one of Singapore’s iconic heritage buildings. 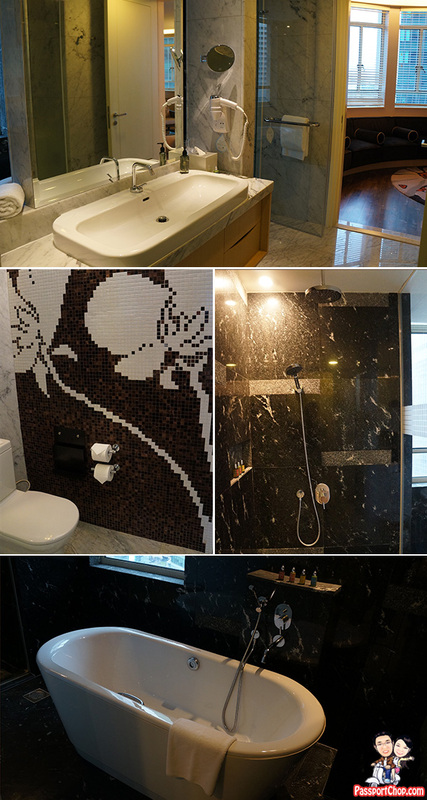 The bathroom is just so gorgeous and luxurious – there is a bathtub, standing shower (with rain-shower facilities) and a separate toilet as well as awesome L’OCCITANE bath products. There is even a speaker system in the bathroom so you can hear the TV while you soak in the bathtub. I was very impressed with the fully-equipped kitchen – at first glance, it did not seem like much, but actually all the good stuff is hidden well within the cupboards. As you can see from the before and after pictures of the kitchen below, there is a fridge (with a freezer), oven, washing machine, induction cooker, kettle, toaster and a coffee machine! There are also pots, pans, plates, bowls, cooking and eating utensils, chopping board etc. – everything that you can find in a typical home kitchen. 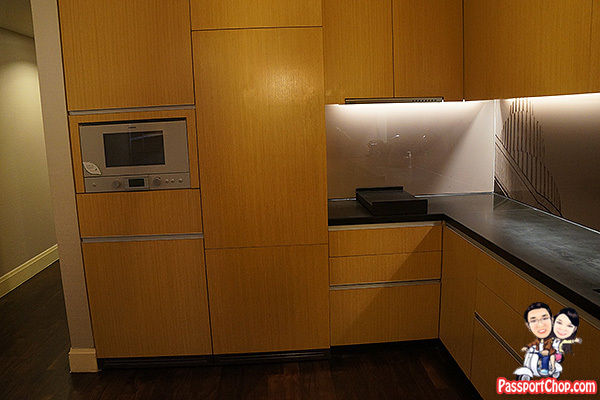 Ascott Raffles Place is an all-suite serviced apartment so even the most basic rooms come with this awesome kitchen. So you can cook whatever you want (there is a cooker hood so you don’t have to worry about the smell) and entertain guests (note: there is a strict no-noise policy here), just like at home. The best part of all is that you don’t have to bother with the clean-up. 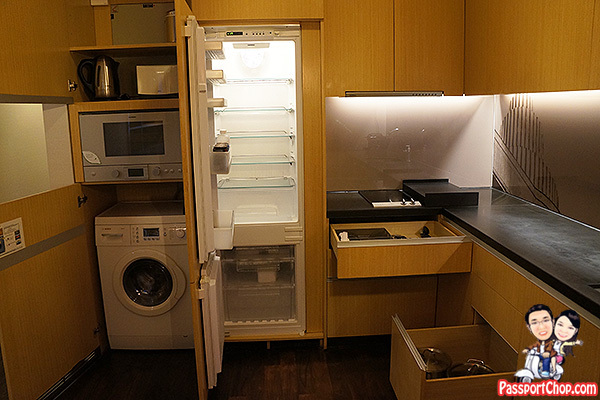 There is a but if you want to wash up a bit, there is even a big dishwasher machine (hidden in one of the cupboards). 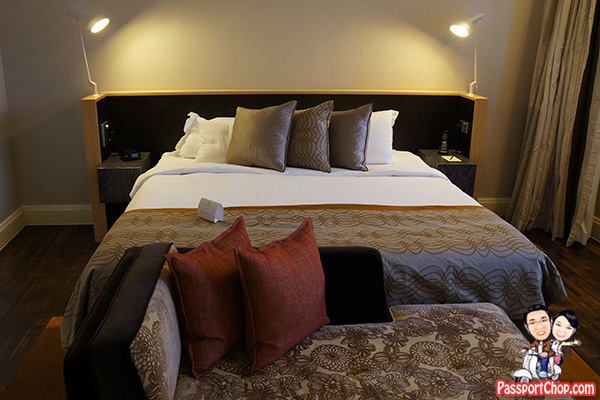 I was also quite impressed with the housekeeping service – they are very quick with their work. We were out for breakfast at Hong Lim Food Centre at 10am and when we got back at around 1130am, they had done what they need to do and the Finlayson Suite was as good as new. This is the type of customer service you can expect from Ascott Raffles Place – quiet and efficient – you barely see any staff here at this residence (1-2 Ascott hosts at the check-in desk and a security guard at the entrance and that’s all you see) and they all work quietly behind the scenes to ensure everything runs smoothly. According to our Ascott host, Jay, it typically takes 1 housekeeping room attendant about 1 to 1.5 hours to clean a room the size of our Finlayson Suite (after a 2-night stay with average room conditions i.e. not extremely dirty/messy). After the room clean-up, a supervisor will do a 15 to 30 minutes final and thorough inspection to certify the room ready for the next guest. 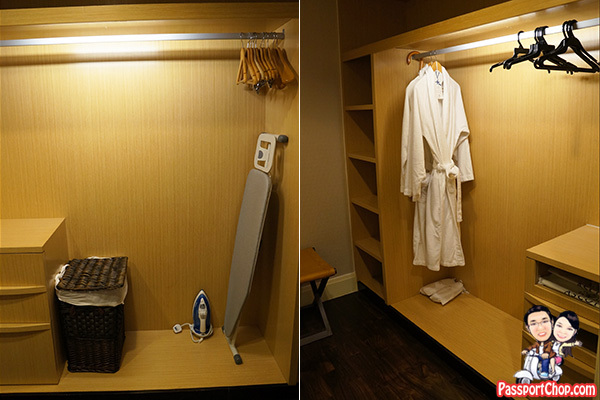 Our Finlayson Suite at Ascott Raffles Place comes with a walk-in wardrobe – ironing board (with iron), hangers, in-room safe and lots of shelving and drawer space. 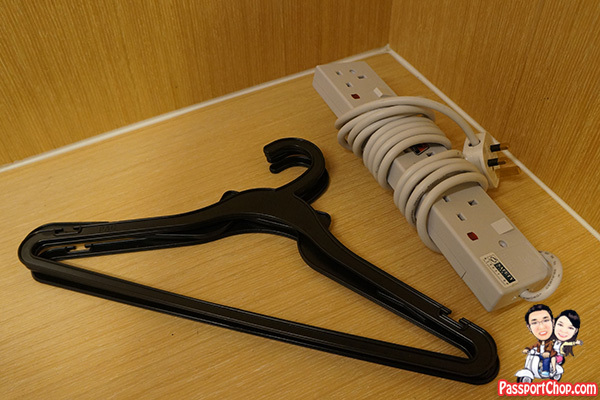 Remember the pre check-in email request for extra hangers and extension cord – they were already pre-delivered in our room – no reminders needed. 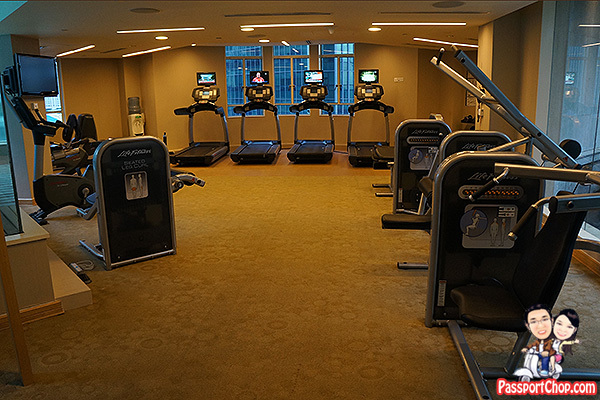 … a very well equipped gym with treadmills, weight machines, exercise balls, free weights etc. 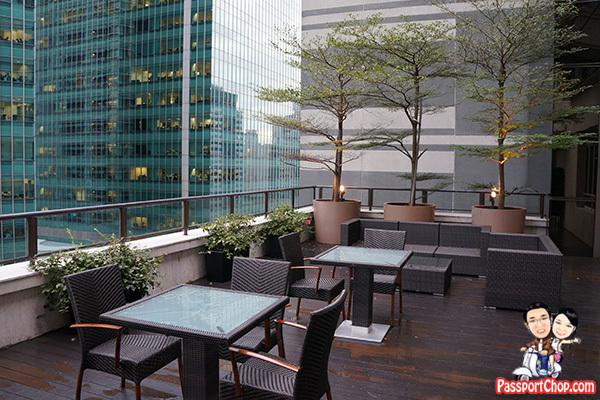 There are also large outdoor areas on the 19th and 21st floor for you to relax, chat and have a drink with friends in the evenings. 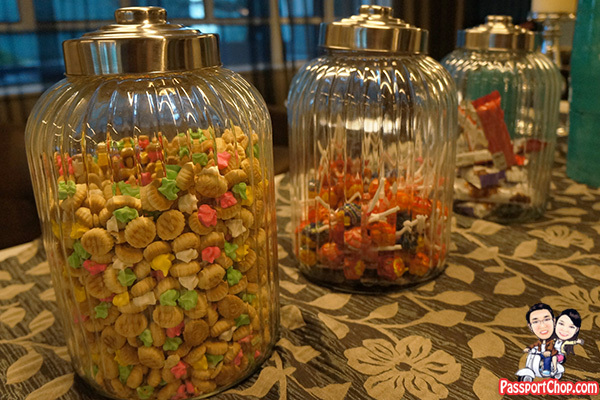 … help yourself to some snacks, like the local gem cookies, which is a really nice touch making guests feel like they are visiting a friend’s home. And this was exactly what we did – we would make a cup of cappuccino, pick up a book from the shelf and relax for the rest of the afternoon on the comfortable sofas of the Living Room (of course with a cup of the gem cookies – one of my favourite childhood snacks J). It helped that the Living Room was very quiet – we were not interrupted at all by any guests or staff during that few hours of chillaxing. I noticed that unlike typical hotels, there aren’t a lot of business and travel magazines in the room or even in the lobby. 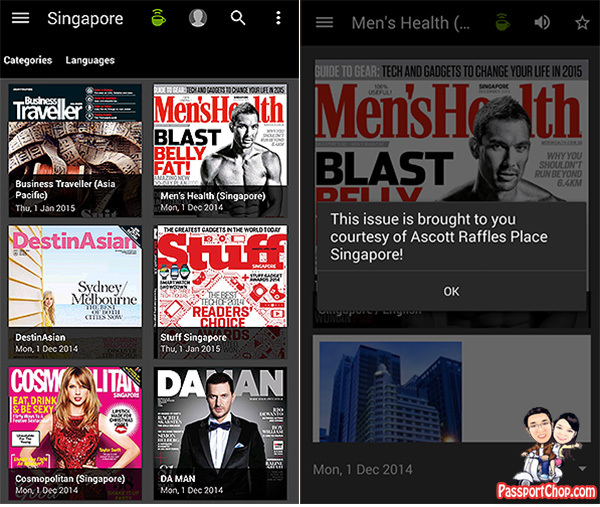 That is because Ascott Raffles Place delivers magazines in a much more eco-friendly way with e-magazines and e-newspapers via the app PressReader. 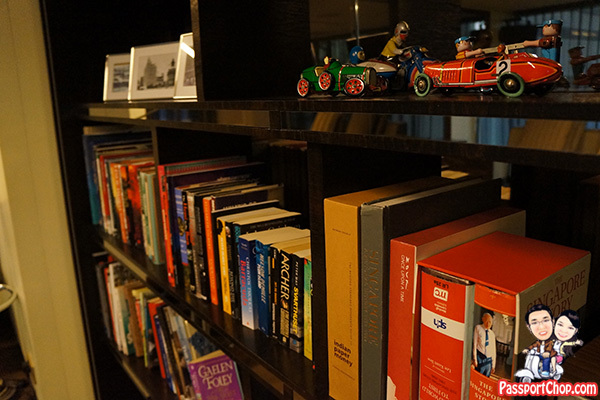 Guests can access thousands of magazines and newspapers all around the world and download them for free (no limit) via the PressReader app while connected to Ascott’s Wi-Fi network (complimentary Wi-Fi access in the rooms and lobby). I think this is a very innovative way of delivering content and personalised to a large extent as you get to choose what you want to read. I grabbed a few Singapore magazines like Stuff, Men’s Health, Young Parents and international ones like Lonely Planet where I could save and read them offline during our stay. 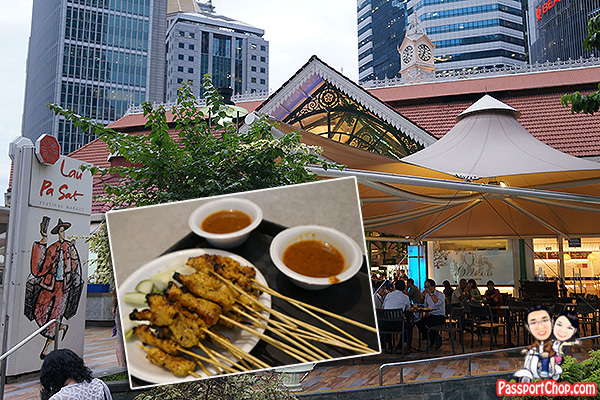 Ascott Raffles Place’s location is absolutely the best if going on food trails is on your staycation agenda –we loved the 5-minute walk to one of Singapore’s food icon – Lau Pa Sat (or Telok Ayer Market). My tip for you is to go to Lau Pa Sat on weekday evenings – it is not as crowded and the satay street along Boon Tat Street is only open in the evenings. 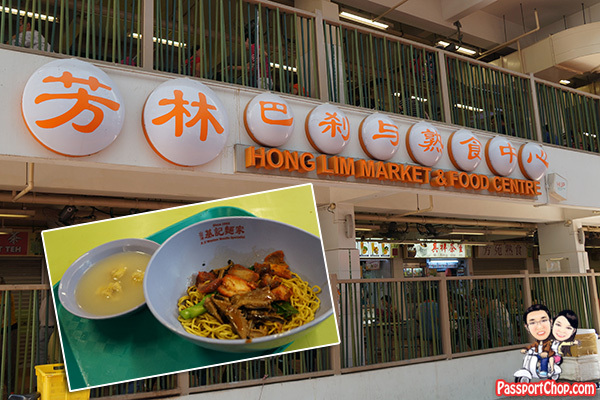 Another food icon worth checking out is Hong Lim Food Centre – this is at least a 10-minute walk from Ascott Raffles Place towards Chinatown – try the Ji Ji wanton noodles (expect long queues). 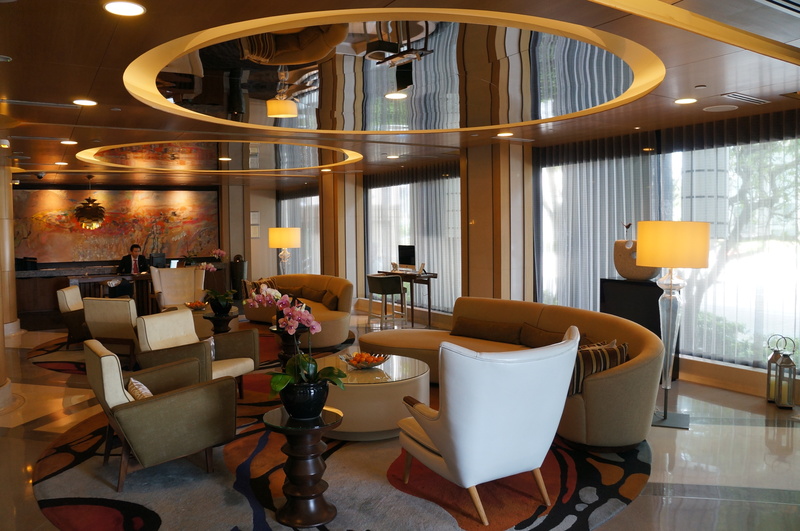 For me, the stay at Ascott Raffles Place definitely resonated strongly through the heritage elements of the building and how the group has combined these with the modern contemporary interiors of the apartments. 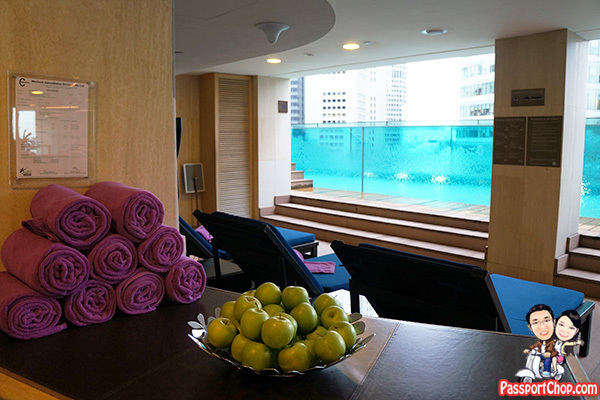 Suffice to say, the amenities at Ascott Raffles Place are more than comforting – from the luxurious bathroom to the well-equipped kitchen and the cosy 19th floor Living Room. 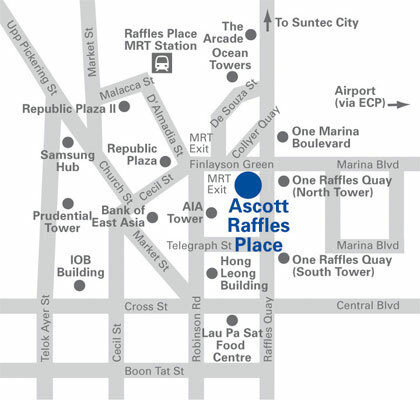 Ascott’s location is also a huge plus – walking distance from some of Singapore’s most popular food haunts as well as attractions like the Merlion Park, Esplanade and Asian Civilisations Museum. Our Ascott host Jay’s hospitality in paying close attention to our needs definitely made the staycation more comfortable. 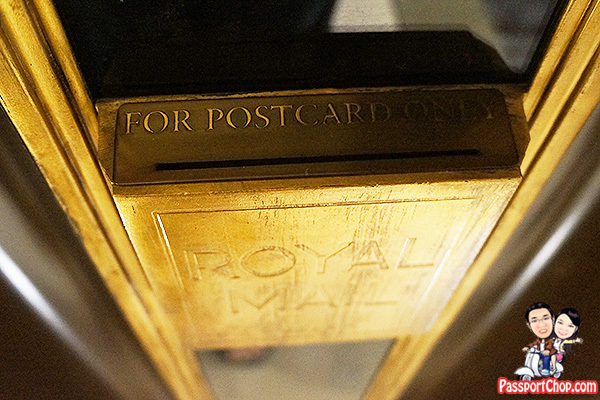 He took the time and effort to share with us stories about the building’s heritage and interesting nuggets of info, like how the stair railings of the old building were converted into air-conditioner grilles and the story of art pieces in the lobby. By Taxi: 25 minute drive and costs around SGD 25. By MRT: Take to Raffles Place MRT station which takes 35 minutes. From there, exit from Exit I, turn left following the pathway to Ascott Raffles Place Singapore in 1 minute.